Here at Currie Solutions our team of merry elves have been busy thinking up some great ideas to raise money for our local Cash for Kids Mission Christmas appeal! With a little sponsorship from the company they have created not one, but three amazing hampers to be raffled off on the annual Cash for Kids Christmas jumper day on Friday 8th December. 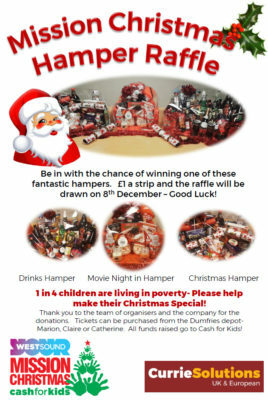 There is a drinks hamper, movie night in hamper and a Christmas hamper. 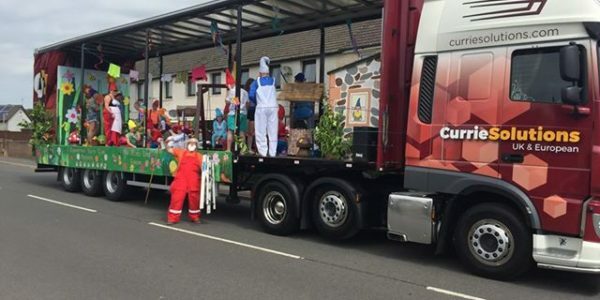 Tickets can be purchased at the Dumfries depot from Marion, Claire or Catherine in accounts for only £1 a strip! Various colours available. The winners will be drawn on 8th December. 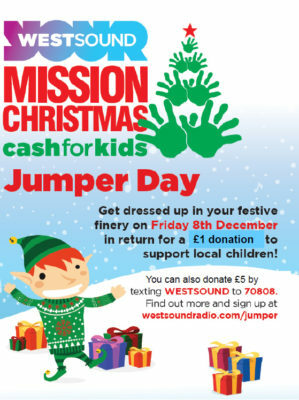 Why not also put your Christmas jumper on and give a small donation to the team to show your support!